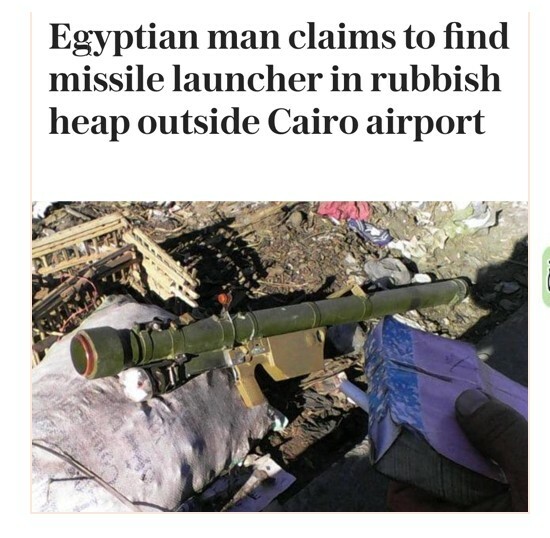 Is that mysterious missile launcher in Egypt really fake news? American Press Institute about this article: ’’CSI, MacGyver and Sherlock Holmes all rolled into one excellent package” / Featured on Boing Boing. 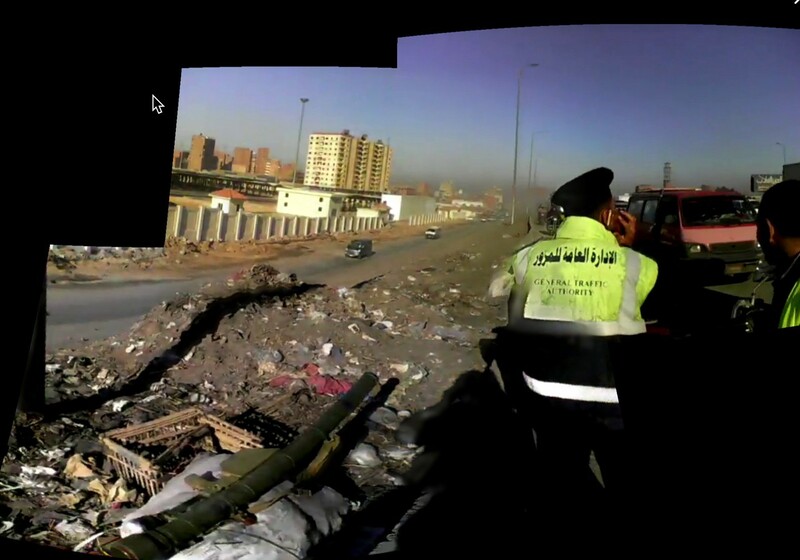 Egyptian traffic cops found a mobile launcher lying in a piece of pile near the airport of Cairo. The story was quickly dismissed by Egyptian media. But others believed it. In this detective & research adventure, you learn how to find the truth midst of an information war. 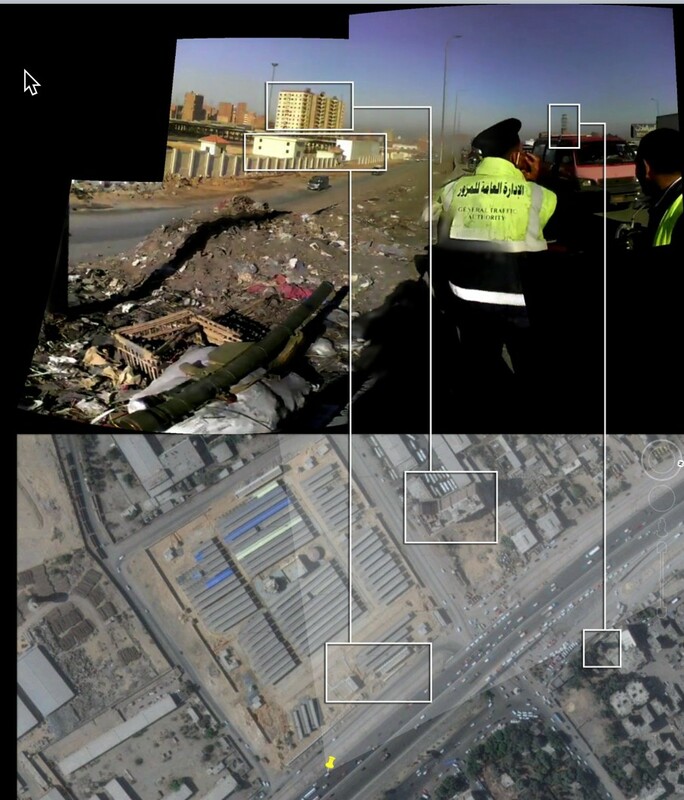 CAIRO — Ibrahim Yousry was heading to work in Cairo when he was shocked to see an anti-aircraft weapon system. A missile launcher was lying around in a heap of rubbish near the airport. He called the police. 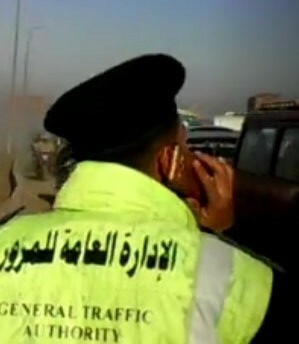 Traffic cops came from the General Traffic Authority. They decided that this was not the best place for a mobile launcher and removed it. Yousry posted a video (protected tweet, see the copy below) of the officials discussing what to do with a thing like this. Saved by Henk van Ess from the web. British newspaper The Telegraph brought the news. An expert said it was impossible to tell if the weapon was real based on a social media photograph but that it looked like an SA-7b, a common portable anti-aircraft weapon. But a pro government Egyptian website (translation) called it a professional blunder. They found a link to the video, dated February 8, 2011. It was old news. The whole story seemed bogus. The video was six years old. Later, the webdesigner deleted his video completely, moments after government minded Egyptian newspapers declared the video from 2011, not 2017. After posting his video and pictures on social media, the military intervened with an order for it to be removed from public view. End of story, right? No. This is where our story starts. How do you date a mysterious missile launcher without being actually there? How do you proof who is right or wrong? 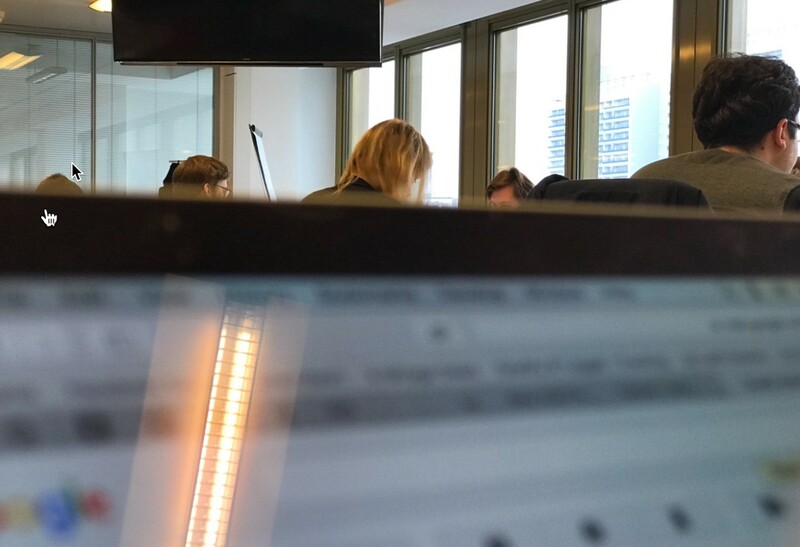 Bellingcat’s Christiaan Triebert and Henk van Ess (=me), my students from Axel Springer Akademie in Berlin and Mokhtar Awad, a Research Fellow in the Program on Extremism went on a fact hunt that took 24 hours. Hop aboard, relive our journey and enjoy the result: a fact checking manual. Meet Ibrahim, our guy. We confirmed that there was a FB-account with his name in it, now completely deleted. I had a strong lead for his mail-address. I typed that directly into Skype, as shown here. 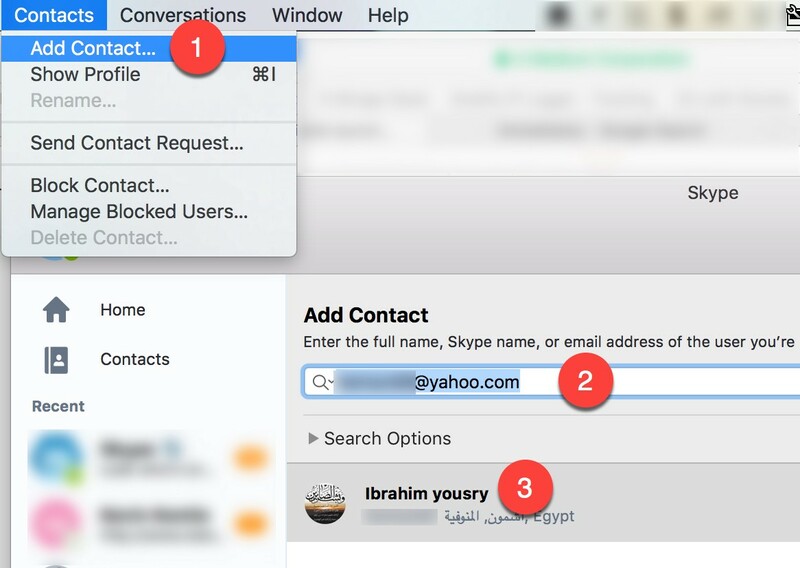 Add a contact first (1), type in the e-mail (2) and see if something pops up (3). The name matched. 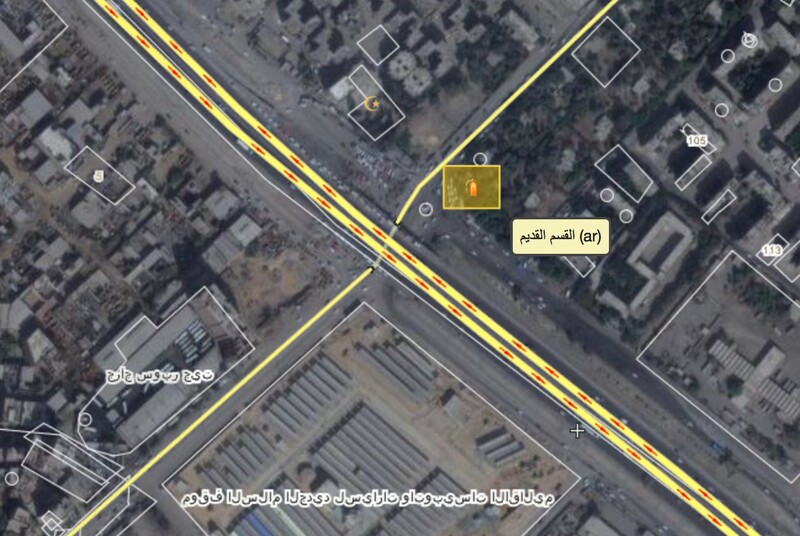 We found a possible mail-address (what) of a person (who) and a possible place (El-Kom, where) and were able to retrieve part of the deleted Facebook account (when). Not bad for a start. Chances are that our guy is real. 4. Found something? Get rid of your sources. 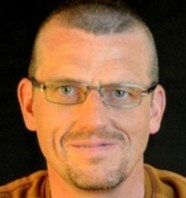 He used the nick hemavb6 on Facebook and Twitter. With this little trick, we established his profession. We called him but he didn’t want to talk. After our guy deleted the video, it popped up again here on a Facebook page from an Egyptian women. But the date was different. It was dated 2011, not 2017. A pro government newspaper used this to explain that the incident never happened. Huh? Clearly it can’t be both. Let’s hypothesise. Is the video from 2011, but posted only just now? Or is the video from just now, and anti-dated to 2011? Often the first posting of any new Facebook account (see yellow) is the (updated) profile picture and goes down to the bottom of the timeline. Here it is followed by the video (red). That’s very irregular. There seem to be no public postings from 2011 to 2014. 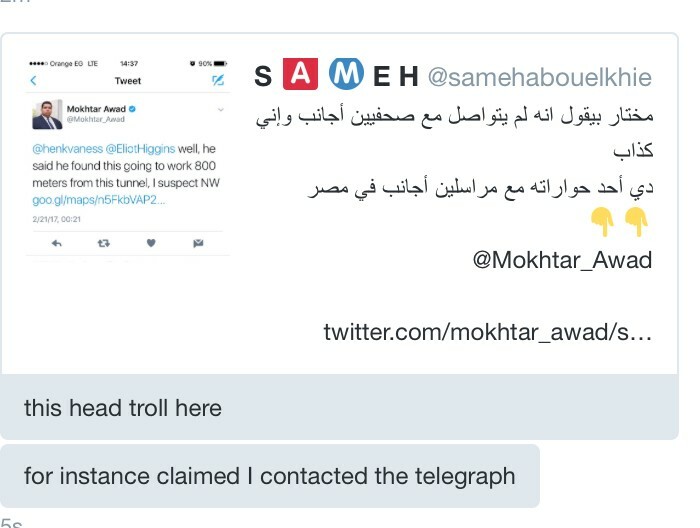 Awad told me, he was accused of “talking with foreign correspondents”. That’s sounds harmless but is ominous when you live in Egypt. “ I am willfully ‘collaborating’ with ‘foreigners ‘ against their country by spreading this ‘false’ story”. But that knowledge wouldn’t help us to investigate the mysterious missile launcher. For this one, we had look at the video, think, debate and look again for any details we might have missed. Below you will hear 6 seconds of the lively discussion between the students about how to proceed this investigation. Yes, that’s German. Yeah, that’s me. I like to explain stuff with a smile. 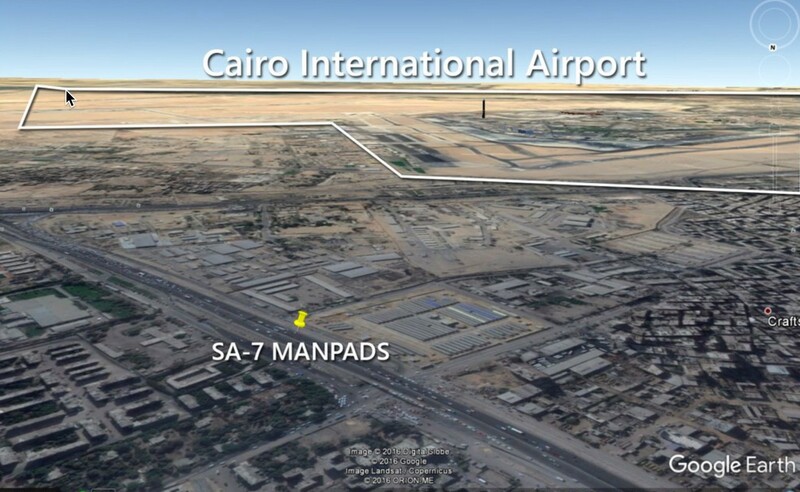 Sören Haberlandt came with the idea to do some historical weather checking near the airport of Cairo for both dates in 2011 and 2017. Unfortunately, it’s always sunny in Egypt. We were wondering why a gripstock was still attached to the tube — these are valuable and reusable. Did they leave the missile launcher in a hurry? Others analyzed the ‘wobbliness’ of the video which suggested it was taken by an old camera but failed to come with anything conclusive. And what is the introduction date of the S3? The yellow jackets of the traffic cops were puzzling. Officially they were introduced in 2012. 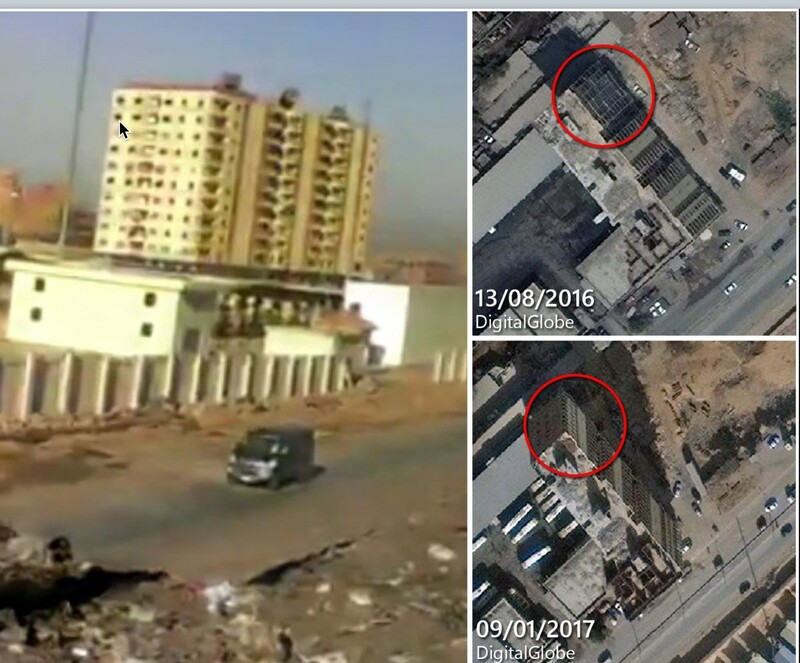 Also the presence of an improvised battery pack suggests that the video is more recent than 2011, as the evidence available is that they were only developed (in Syria) by 2012–13. Shadows in those pictures corroborate an early morning discovery , which seems to fit well with an “On my way to work” story. Clearly, enough reason to continue the validation process. And that’s where geolocating kicks in. Now we get more grip on where we are. There are buildings to the left, a flat, there is service road , some garbage and to the right the beginning of a highway. Also you can see, partly, a billboard. All you need now is a cup of coffee, a quiet room, fast internet and Google Earth. Now it’s the turn of Christiaan Triebert to work on our little investigation. I asked Christiaan to describe the process of the next 20 minutes in that room. The north site of the building wasn’t finished by 13/08/2016. So the video can’t be older than that. It can’t be from 2011. It is 6 month old at last. While I was working with my students in Berlin, I asked Christiaan to compare the imagery also with 2011. 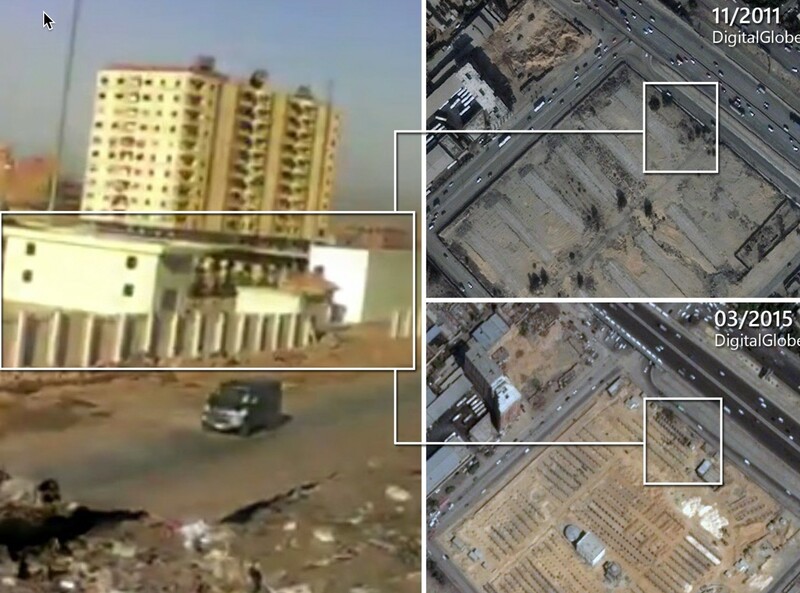 Here’s the definite proof: the building that Ibrahim Yousry taped, was non-existent in 2011. So the video can’t be taken in 2011. The debunking by Egyptian media is not based on facts. There is no proof that the incident never happened. Just curious, did the Egyptian tv-reporter Dalia read this article? She did. “I am pro Egypt” she told me. Reporting the incident without the blessing of officials is impossible for her. Shortly after this article was published, over 30 anonymous trolls contacted me via Twitter. They all made the same point: Facebook is not a serious medium for research and where is your witness? Why do you have to drag Egypt into a shameful investigation? Why don’t you concentrate on IS? I investigated if there was a pattern to be found in this possibly controlled voice of righteous anger. Inside the trenches of this little infowar live well educated people. I was able to document 24 of the anonymous trolls and found their full names, phone numbers, mail addresses and what they are doing in normal live. Most of them are intellectuals with lovely jobs. So how did I manage to do this? I found this information by.. hold on .. that’s another story ….for another info war. (C ) June 2017 Henk van Ess Contact me via Twitter if you want to reprint this article or translate it.